According to THR, Wyatt was fully committed to staying on the project. In fact Fox never once believed they had another Josh Trank Fantastic Four situation on their hands; Wyatt was the first to be in, last to leave, and has good ideas. But as the site points out, he wanted to rewrite Gambit in order “to conceive the world that he is filming.” Josh Zetumer (RoboCop) wrote the script based on a treatment written by Chris Claremont. But when it comes to $100 million projects, studios have some of their own ideas. As do some of the big name stars (in this case Tatum), who are becoming as influential as their producer counter parts (in this case Simon Kinberg). With so many people having their own vision for the film, there is bound to be some headbutting. And that appears to be what happened on Gambit. It is said that Wyatt was unable to convince the studio of his vision for, and therefore walked out on the film entirely. Which is something of a reputation he has built for himself in the past. The director was tapped to helm Dawn of the Planet of the Apes (Fox), The Equalizer (Sony), and a “project based on the life and death of Alexander Litvinenko, a defector from the Russian secret service who was poisoned in London” for Warner Bros. He walked out of all three of them for the exact same reasons he is leaving Gambit. This is something of a common recurrence with studios and their superhero shared universes. Again, this is not something against Marvel Studios, Fox, or WB. They have successfully built a brand using their particular business model, and as the saying goes, if “it ain’t broke, don’t fix it.” It doesn’t even have to happen for these superhero films, Nicolas Wining Refn was also attached to direct The Equalizer before it was even offered to Wyatt. 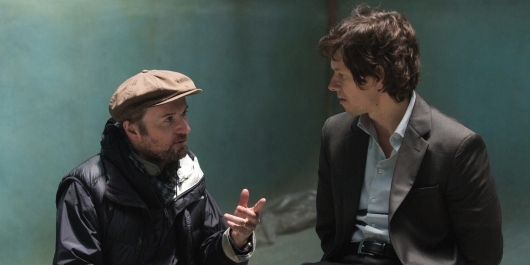 So what are your thoughts on directors like Rupert Wyatt walking out on big budget films like Gambit?